It is contended here that the emotional elements and features of human reasoning should be taken into account when designing the personality of robots. As it has been shown in the last few years, the concept of gender is constructed by socio-cultural factors. Gender perspectives are increasingly being applied to different fields of knowledge. The present work aims at demonstrating that the gender perspective is indeed very useful when applied to the field of robotics. Specifically, and when dealing with complex decision-taking, it becomes necessary to analyse which managing activities women can better develop in order to apply them, together with other features, to the design of robotic emotions. The purpose is, then, to propose a robotic model that, after the inclusion of such emotional aspects, breaks with old constrained gender stereotypes and takes a rather liberating view. At the same time, such a proposal should enable us to get better results when creating robots capable of managing other robotic teams and taking complex decisions. In short, we seek to apply the gender perspective in the analysis of some emotional features to be taken into account before they are applied to the field of robotics. If we take into account the fact that science, technology and their power connotations over the natural world have always been linked to the masculine sphere, women’s recent closeness to technology has meant a challenge which should overcome traditional images of physical aspects to deepen into complex psychological aspects. In this sense, every robot considered as female means a rupture with the masculine control of technology. This same violation of traditional patterns is also at work in all those virtual representations of the feminine, as can be seen in the popular science-fiction film The Matrix (1999) which shows virtually constructed women, as in the case of Trinity (Carrie-Ann Moss). Paradoxically, most feminist scholars dealing with science fiction agree in affirming that even these totally created bodies contribute to the reproduction of traditional gender stereotypes, especially in terms of behaviour. Yet, within the academic scope, only a few works have considered these issues. Donna Haraway, in her famous “A Cyborg Manifesto: Science, Technology, and Socialist- Feminist in the Late Twentieth Century” (1985), already dealt with the cyborg image and regarded it not only as a created being but also as a “creature of social reality”, although she did not consider it from the strictly robotic perspective. 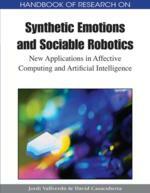 More specifically, we should mention the works by Winslow Burleson and Rosalind Picard (2007), alma mater of affective computing, which is a branch of artificial intelligence that deals with the design of systems and devices that are able to recognise, interpret and deal with emotions. This is an interdisciplinary field that includes computing, psychology and cognitive science.